Realme Yo Days , Realme ₹1 Flash Sale – Hi Guys , Hope You are Enjoying Our website. Meanwhile , Realme – The Brand Of Oppo Has Started The Realme Yo Days. In Realme Yo Days You can Win Free Realme U1 Device + Rs.1 Realme Flash Sale is Also Happening In This Sale. This Offer is Same Like Last Mi Rs.1 Sale & Click & Win Sale Of Mi. 4. Done !! 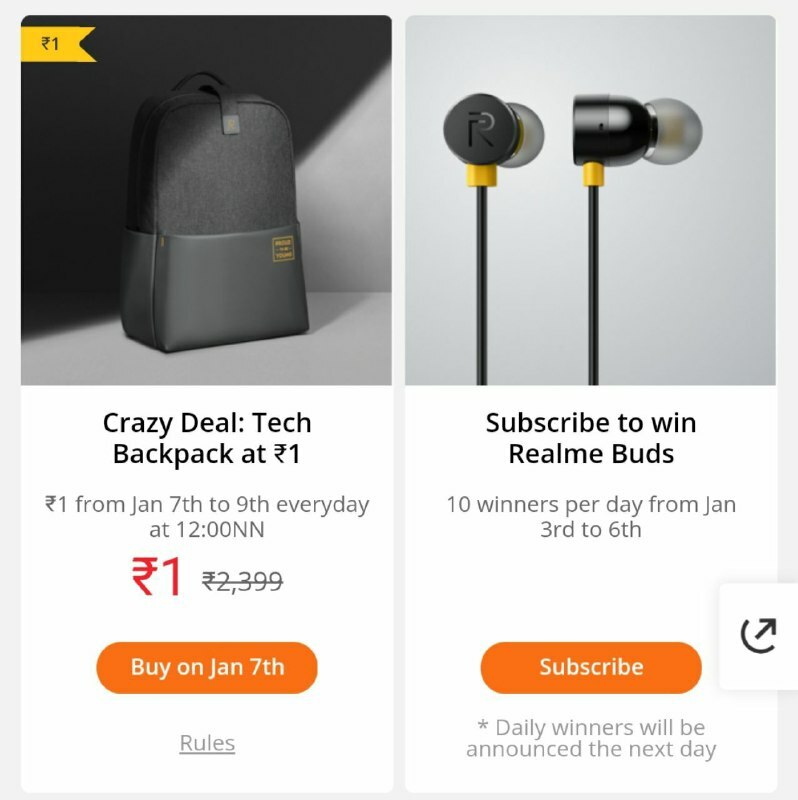 First 200 customers can buy realme tech backpack at ₹1 at 11:50AM, 9th April and 11:50AM, 11th April 2019.